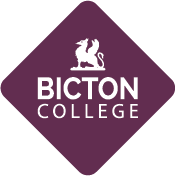 Nominations for the Bicton College College Pride of Devon Awards are now closed. 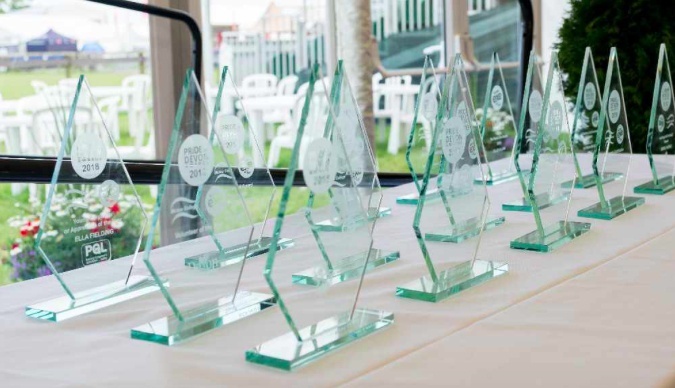 The award ceremony, held on May 17th 2019, is an annual event that celebrates unsung and behind the scene heroes from across Devon. 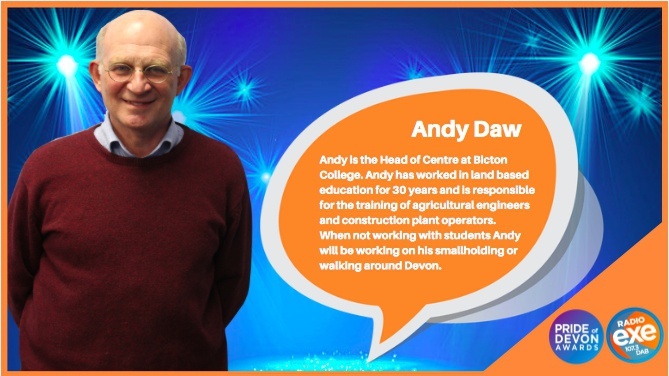 Andy Daw is the Head of Centre at Bicton College. Andy has worked in land based education for 30 years and is responsible for the training of agricultural engineers and construction plant operators. When not working with students Andy will be working on his smallholding or walking around Devon. 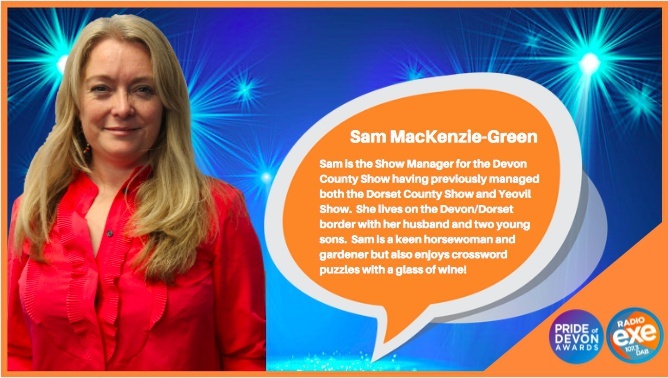 Sam MacKenzie-Green is the Show Manager for the Devon County Show having previously managed both the Dorset County Show and Yeovil Show. She lives on the Devon/Dorset border with her husband and two young sons. Sam is a keen horsewoman, gardener and runner but also enjoys crossword puzzles with a glass of wine! 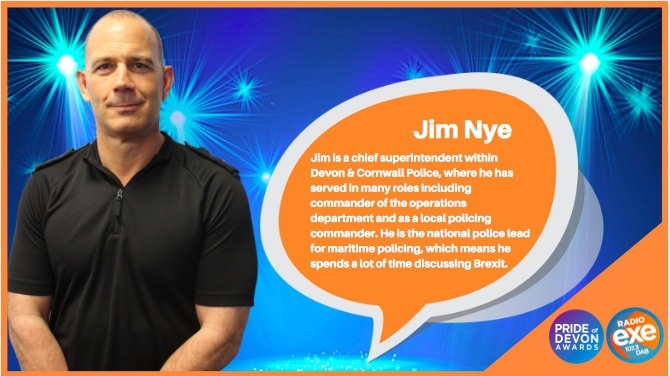 Jim is a chief superintendent within Devon & Cornwall Police, where he has served in many roles including commander of the operations department and as a local policing commander. He is the national police lead for maritime policing, which means he spends a lot of time discussing Brexit. 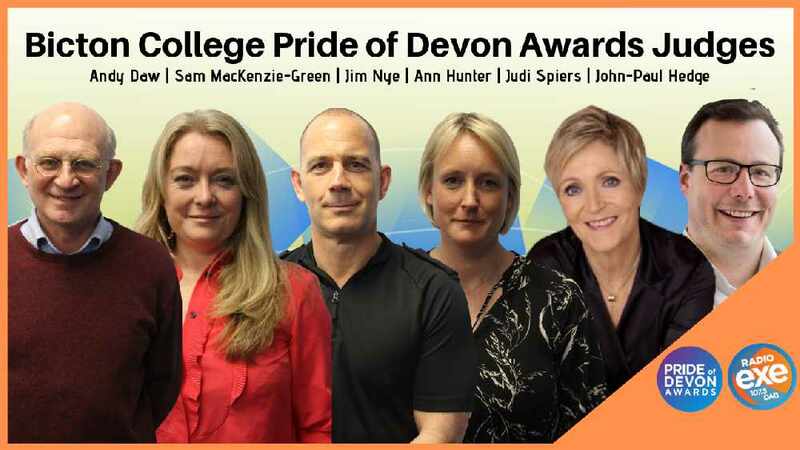 Jim is also the chair of the road safety charity The Honest Truth; sits on the board of Active Devon; and is an executive committee member of the European Association of Airport and Seaport Commanders. 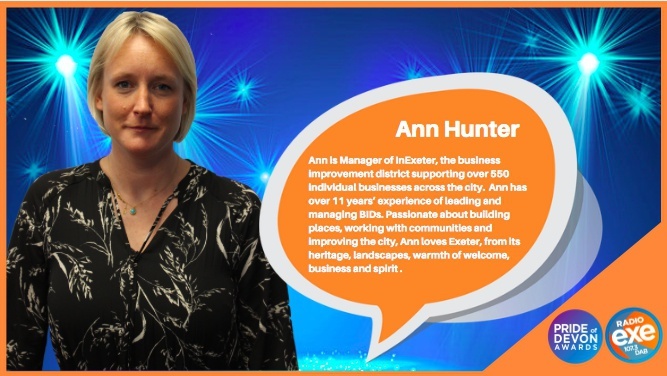 Ann Hunter is Manager of InExeter, the business improvement district supporting over 550 individual businesses across the city. Ann has over 11 years’ experience of leading and managing BIDs. Passionate about building places, working with communities and improving the city, Ann loves Exeter, from its heritage, landscapes, warmth of welcome, business, spirit and entrepreneurism. Ann has a BA in modern Chinese studies from Leeds University, MSc from Exeter University, 2018 and diploma in digital marketing. Outside of work, Ann is a keen road and mountain bike cyclist, runner and is slightly addicted to coffee. Judi Spiers is a ‘Debbun Maid’ who has worked in television and radio both locally and nationally for over 30 years.As a freelance presenter she regularly hosts events and in and out of the southwest, writes a regular column for the Western Morning News and articles for Devonlife and is the Patron and Ambassador for several charities in the region. 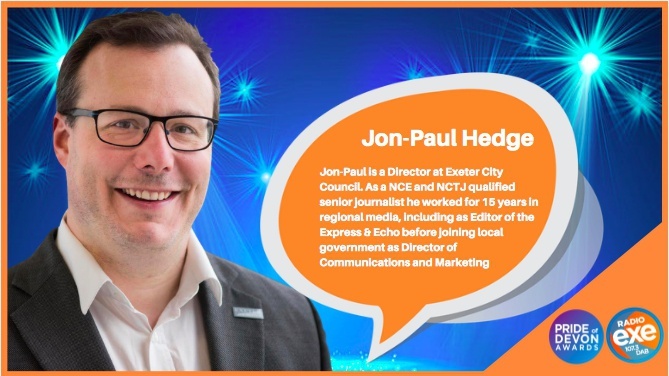 Jon-Paul Hedge is a Director at Exeter City Council. As a NCE and NCTJ qualified senior journalist he worked for 15 years in regional media, including as Editor of the Express & Echo before joining local government as Director of Communications and Marketing. Jon-Paul’s current remit includes responsibility for Communications, Tourism and Culture through Visit Exeter, Conference Exeter, RAMM, Underground Passages, The Matford Centre, Corn Exchange and is leading on the emerging Exeter Cultural Strategy. He is a former founding board member of InExeter (Exeter BID) and Board member of Exeter Science Park. Jon is also a long-standing trustee and former Vice-Chairman of homeless charity Friends of Factory Row. He's responsible for Exeter Live Better and co-designing a place-based narrative for the city.